The pattern of life of this congregation has in many ways followed the social and economic development of our country and community. Established in the Depression, there followed World War Two, many years of austerity, the Swinging Sixties and subsequent materialism and freer attitudes to living. The life of the congregation continued successfully, albeit with reduced numbers of people, particularly children. Meeting the requirements of changes in the law – Health & Safety, Child Protection, Disabled Access etc – stimulated fresh thinking. When the halls were opened, there was only a large and a small hall, kitchen, toilets and vestry. As part of the Presbyterian Church of England, after two years as a “preaching station” under a temporary minister the congregation was strong enough to call its own minister. Money was hard to come by, but the area was rapidly expanding with new houses and becoming a dormitory area for Tyneside and Newcastle upon Tyne, thanks to the electric railway. To build a church was very important and just prior to the outbreak of war, work had begun. War meant full stop. The minister also immediately became an army chaplain. Since the materials were all ready, permission to complete the building was obtained. 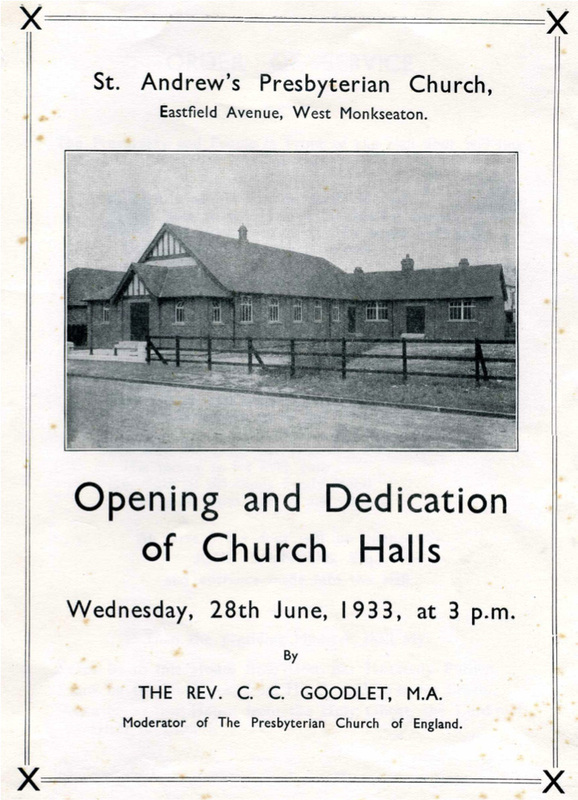 So, while young men and women were gradually departing for the forces, the new church was opened, after two years of delay. As the war seemed to be going to continue, the minister resigned and his successor led the congregation through those difficult later war years. Worship and the life of the congregation – Sunday School, Scouts, Cubs, Guides, Brownies, Ladies’ Meetings, Choir Practices, Social Events etc. – continued strongly. Post-war we shared in the “booms” of the times. Returning service people brought large numbers and a great enthusiasm, led by a new minister. Increases in births meant that in due course, in a totally residential area, we were inundated with children. Good leadership at all levels meant that we were a vibrant, very active church bulging at the seams in terms of accommodation, a very real influence in a community which was growing. During the post-war years the hall was re-floored, the kitchen was twice extended and toilet arrangements adjusted. Ideas for further extension were considered but did not come to fruition. 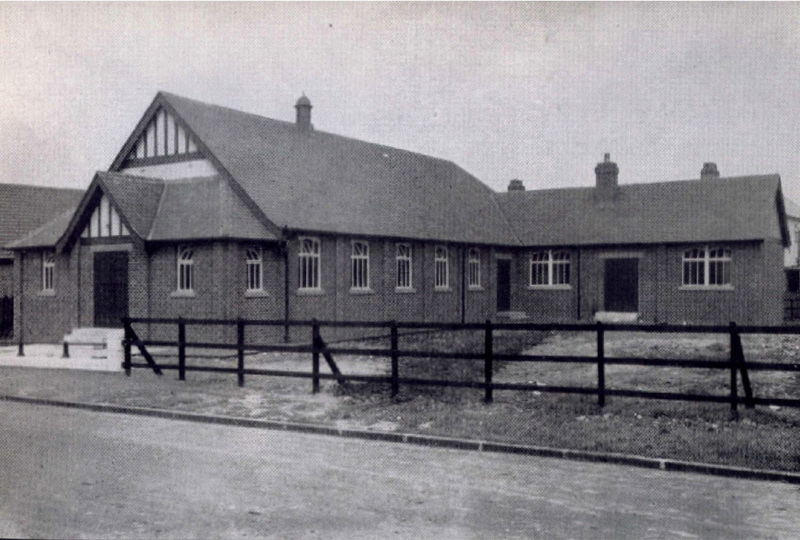 1972 saw the formation of the United Reformed Church, and in preparation this congregation devised a new system of organisation for itself based on small committees supporting an Executive which reported to the Elders’ Meeting. Over the years this has proved to be very effective being so flexible. As need has ceased or arisen committees have been dissolved or created. A very long ministry was followed by a further long ministry this time by a minister of Congregational background. Minister and people learned much from each other. It was a period of consolidation and contraction, for in common with all other churches attendances at services and the number on the roll gradually reduced. We continued, however, as a church of varied activities, still a friendly, welcoming fellowship. The next vacancy was quite long. The commitment of those holding office was such that confidence developed. Though the following ministry was relatively short it saw the beginning of a process of revitalisation. 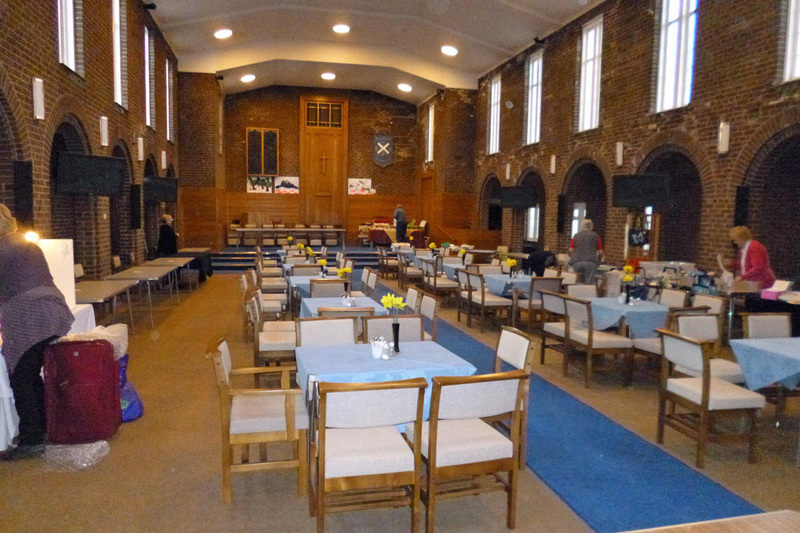 redecoration and refurbishment – curtains, carpeting, new chairs in the church etc brought a freshness to the buildings. A club for elderly people of the area was new. This was a time when the deployment of ministers was a concern. At the next vacancy, St Andrew’s was not allowed to call its own minister. The vacancy proved very long and was not filled until Newcastle District formed its first and only ever, ‘Group’ of churches. Though a covenant was signed and working arrangements for finance etc were achieved this was a difficult time for shared ministry and the arrangements were not sustained. Nor were ‘groups’ ever established elsewhere. Subsequently the whole of Newcastle District was divided into larger ‘Mission Partnerships’ and we were in the Newcastle East and Coast Partnership. For a year or two we had the services of one minister full time and the support of a retired minister as associate minister. When the next vacancy came St Andrew’s was allocated only 75% of a shared ministry in the partnership and in recent years changes have continued apace. District Council no longer exists and a Partnership of six churches is now the Coast Partnership of only two churches. Two having closed, one having joined an LEP and the other transferred to a more suitable partnership. The approach of the millennium led to forward thinking for the 21st century. Major changes to the buildings could enable our witness to be more effective. Suggestions for covering in the cloisters and joining the church and hall buildings began to be considered. After several years of planning, costing etc in the spring of 2005 the congregation adopted proposals for development. A Development Team oversaw the project, a Development Action Team spearheaded fund-raising and a Way Forward Group planned for the life of the congregation, these in addition to the normal committees which ran the life of the congregation. Our project ‘Building for the Future’ energised the people of St Andrew’s. Progress exceeded expectations and in 2009, a year ahead of schedule, the building alterations were completed just in time for the induction of a new minister, still 75%. Vastly improved facilities have enabled the witness of worship to continue and service to the people of this community to increase. In 2013, a major change was made to the interior of the church with the removal of the choir stalls, excellent audio-visual systems having been fitted earlier. The first church meeting of 2014 accepted a proposal to streamline the management of church temporal affairs. The Executive would be supported by four teams, rather than committees with responsibilities for Finance, Premises, Activities, and Development. In 2016, the audio facilities of the church were extensively modernised to create an extensible, flexible system suitable for everything from church services to concerts. 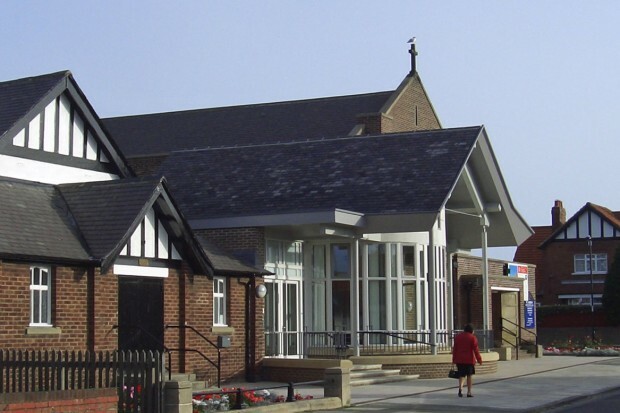 From its foundation to the present day St Andrew’s Monkseaton has been surrounded by a residential community. The need and opportunity for service and witness is as great now as ever it was. A hardworking congregation has enabled us to be as well equipped as we have ever been.